One of the main obstacles to successfully treating breast cancer is the cells’ ability to change in ways that make them resistant to treatment. Understanding the cellular mechanisms that mediate this cancer cell plasticity may lead to improved treatments. Taking a step in that direction, a team led by researchers at Baylor College of Medicine has discovered that breast cancer cells can shift between two forms of the cell surface molecule CD44, CD44s and CD44v. Published in the journal Genes & Development, the study shows that breast cancer cells expressing mainly CD44s have increased metastatic behavior and resistance to therapy, while those expressing CD44v do not associate with these behaviors but do present increased cell proliferation. CD44 is a well-known marker of cancer stem cells and one that is extensively studied in the Cheng lab. The CD44 gene can produce two different forms of the protein – CD44s and CD44v – via a process called alternative splicing. Cheng and her colleagues investigated whether there was a difference in the two forms of CD44 expressed in human breast cancer cells. They also wanted to know whether the different forms of CD44 contributed differently to the disease. To answer their questions, Cheng and her colleagues took an unbiased approach. 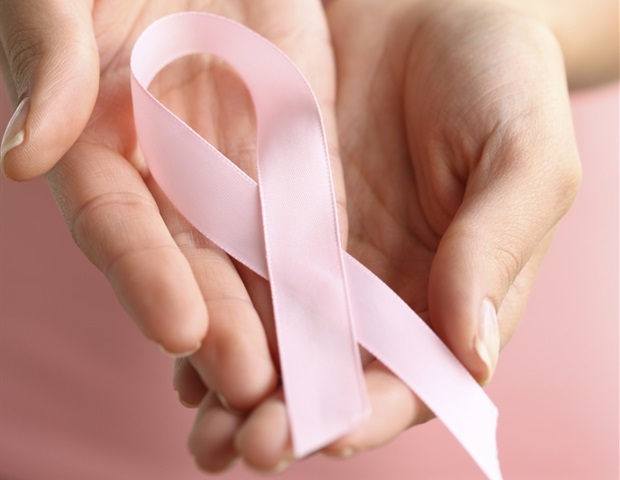 They conducted bioinformatics analyses of breast cancer patient data collected in the Cancer Genome Atlas database. “Our analyses show that CD44s and CD44v, the two major forms of CD44 generated by alternative splicing, have distinct biological functions in breast cancer,” said Cheng, who also is a member of the Dan L Duncan Comprehensive Cancer Center. The researchers envision that by manipulating the levels of the two forms of CD44, it might be possible to change the cancer cell properties in ways that may enhance the cancer’s susceptibility to treatment. “We anticipate that other genes that also undergo alternative splicing could as well contribute to the cells’ fate and to the plasticity that generates cancer heterogeneity,” Cheng said.